Défiligne Perte de Poids is a dietary supplement designed to ease the weight loss process and take the sting out of living a life with less food. It’s one of several weigh loss products marketed under the Yves Rocher brand name. However, although the company’s name appears on the top of the box, the pills are actually a white label product manufactured in the North Brabant region of Holland by Peters Krizman (PK Benelux). The company’s head office is based in Switzerland, they provide products to over 30 countries, and they are probably best known as being the company behind the traditional Dutch health and wellness brand “Lucovitaal”. Yves Rocher also markets a lot of personal care products, including deodorants and moisturizing creams. It seems likely these are white label products too, but the fact that the company is distributing products developed and manufactured by other companies is not an issue. Yves Rocher is a respected company, after sales service is good, and members of the customer services department can be contacted easily by phone. The problem with Yves Rocher is the company website lacks a lot of important information about the products on sale. What is Défiligne Perte de Poids and How Does it Work? 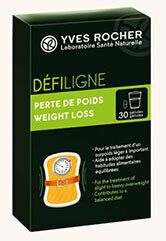 Défiligne Perte de Poids is an appetite suppressing diet pill. Products that are designed to give dieters support in this way help ease the weight loss process by controlling the hunger pangs that can make it so hard to stick to a low-calorie diet. Good results require appetites suppressants be used in conjunction with diet and exercise, but the same can be said for other forms of weight management product, including fat burners and carb blockers. 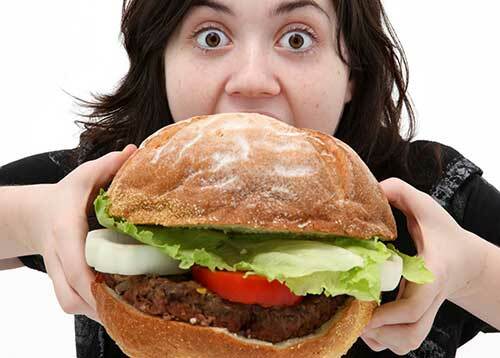 If Défiligne Perte de Poids can control hunger in the desired way, people using the product should be able to avoid the desire to snack and find it easier to eat smaller portions at meal times. This should cause their body to receive fewer calories per day and, when used with diet and exercise, the body may become so short of calories it has to begin burning fat to get extra energy. The Yves Rocher website does not reveal what ingredient(s) are used in the product. They just state the pills contain a complex of plant fibers that create a feeling of fullness in the stomach that helps users to control their portion sizes. The fact that this product is marketed without a list of ingredients does not impress us. “Plant fibers” could be practically anything. However, we notice each dose of pills has to be taken with two glasses of water. 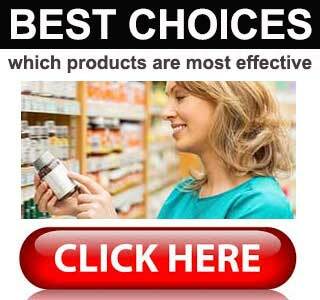 Most diet pills only require water to aid swallowing. We know of only one ingredient that requires two glasses—glucomannan. 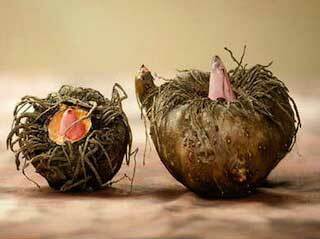 It’s a natural fiber that’s taken from the roots of the Asian konjac plant. It has next to no nutritional value, but it swells up considerably when it comes into contact with water. When this happens in the stomach, the presence of the swollen fibers fills the digestive organs and creates a feeling of satiety. The European Food Safety Authority (EFSA) have investigated the studies conducted on glucomannan and confirm it can suppress the appetite enough to promote weight loss, but the EFSA state glucomannan needs to be taken with two glasses of water. The EFSA also says diet and exercise will be required, and specify a dose of 1g glucomannan, taken three times per day before meals. If glucomannan is the ingredient used in Défiligne Perte de Poids, and the pills provide a sufficient amount, the product should have value as a weight loss aid. The key word here is “if”. “If” the product does not meet the requirements set out by the EFSA, results may not be forthcoming. 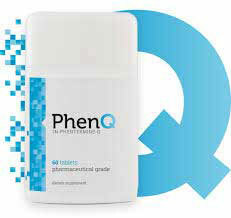 Two capsules are required 60 minutes before meals, and should be consumed with two large glasses of water. Three doses are required per day. After 30 days of use a four day break is required, after which supplementation can be resumed. Customer feedback suggest the product does not work for all. No side effects are mentioned, but women who are pregnant or nursing a child should never take any brand of supplement unless it has been approved by their doctor. The same advice is offered to people who have existing health issue and to anyone who is using medication. Yves Rocher products are available to buy at many pharmacies and can also be purchased from the company website. A 30-capsule box of Défiligne Perte de Poids has an RRP of 31,90 €, but the price is often discounted. At the time of this review it was possible to pay just 19,14 € per box. 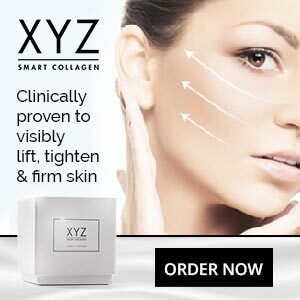 That doesn’t sound expensive until you do the sums and realize the recommended dose of six capsules per day means a box is only good for five days. That means a 30-day supply of pills will cost nearly 120 €. This site provides reviews of weight loss supplements of all kinds, including prescription medications, fat blockers, fat burners, appetite suppressants, and muti-functional diet pills. We rate all products honestly according to their merits. The cost of a product, the quality of the ingredients, and the feedback left by past customers are just some of the factors we look at while evaluating products for safety, functionality, and ability to provide value for money.